The Harley-Davidson SuperLow® gives you all the attitude, style and muscle you could want here in the Denver, Colorado area. 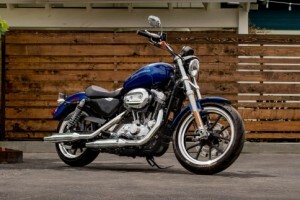 The SuperLow® is part of the Harley-Davidson Sportster® lineup. These bikes might be in the entry-level segment of Harley-Davidson motorcycle models, but the SuperLow® doesn’t compromise in power or Harley styling. 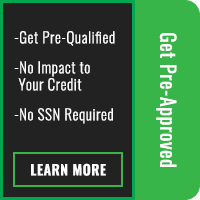 Find out more here at Avalanche Harley-Davidson®! 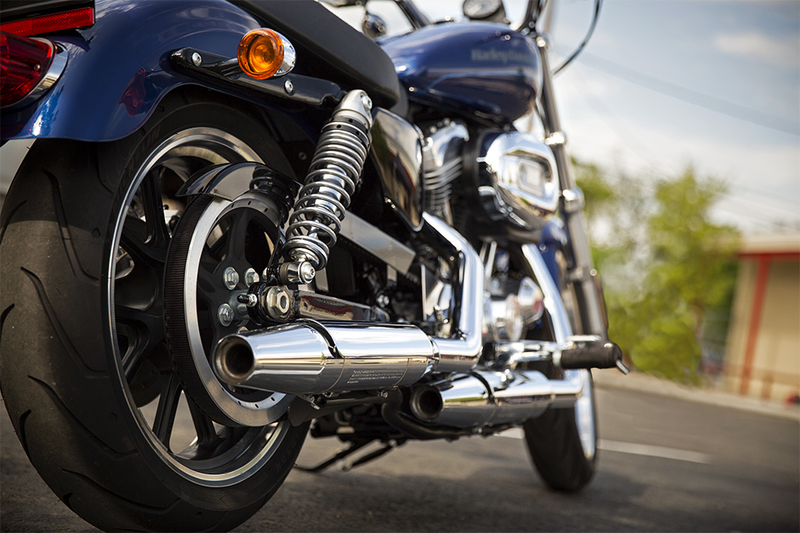 The SuperLow® is powered by the robust, air-cooled V-Twin Evolution® engine which debuted in 1984. This edition of the Evolution® features 883cc model displacement, supplying plenty of torque and acceleration when you need it. Evolution® Engine – A direct descendent of the Harley-Davidson Shovelhead and Ironhead engines, the Evolution® updates those iconic engines with some of the most advanced motor tech available, delivering all the raw muscle you can handle. 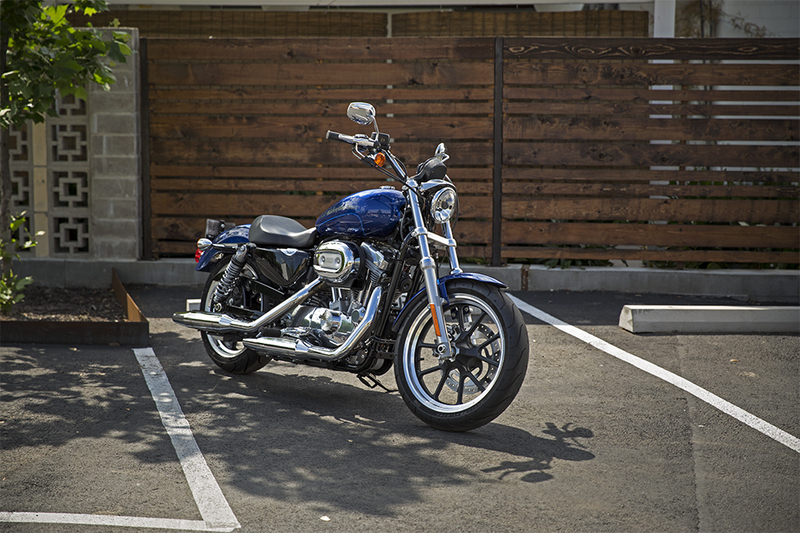 Classic H-D Styling – The V-Twin Evolution® engine is loaded with authentic Harley-Davidson style. Silver powder-coated cylinders and heads really make this engine pop, while the outstanding H-D® engineering and detailing throughout makes a bold, no nonsense statement. Innovation – Electronic fuel injection is an efficient and more performance oriented alternative to the old school carburetor and requires less regular maintenance. The Evolution® engine is rubber-mounted so you can count on it to keep down the vibrations, and the aluminum cylinders and heads help to make the air-cooling system run more efficiently. You’ll find a wealth of the latest technology built into the SuperLow®, all of which works together to boost your confidence and control. Integrated Electrical System – All those bulky wiring harnesses, switches, relays, and fuses are kept out of sight by the integrated electrical system, allowing the SuperLow® to display a clean, uncluttered look. Foundation Brake System – With the new Foundation Brake System you get big 300mm rotors and a large front caliper with 34mm pistons that ensure you have the stopping power you need. Ergonomic Hand Controls – The ergonomic hand controls feature easy-reach brake levers as well as self-canceling turn signals and trip and “start” switches. These controls are all conveniently placed so you can keep your attention on the road. 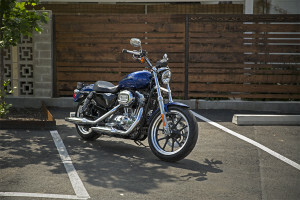 Optional Security System – The optional factory-installed H-D® Smart Security System features a hands-free keyfob that automatically activates the security system once you leave your bike. 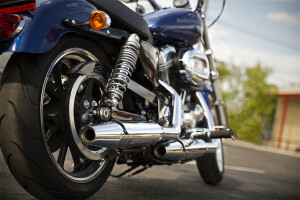 Closed Loop Exhaust System – Part of the closed loop exhaust system, the robust dual mufflers with exhaust shields show the race bike heritage of the SuperLow®, while the catalyst and mini heated oxygen sensors work to keep emissions low and ride quality at its best. Tach and Gear Indicator Readout – The speedo includes a gear indicator readout and tachometer which are activated by the trip switch. Optional ABS – Anti-lock brakes are available to provide the best possible stopping capability under even the toughest conditions. 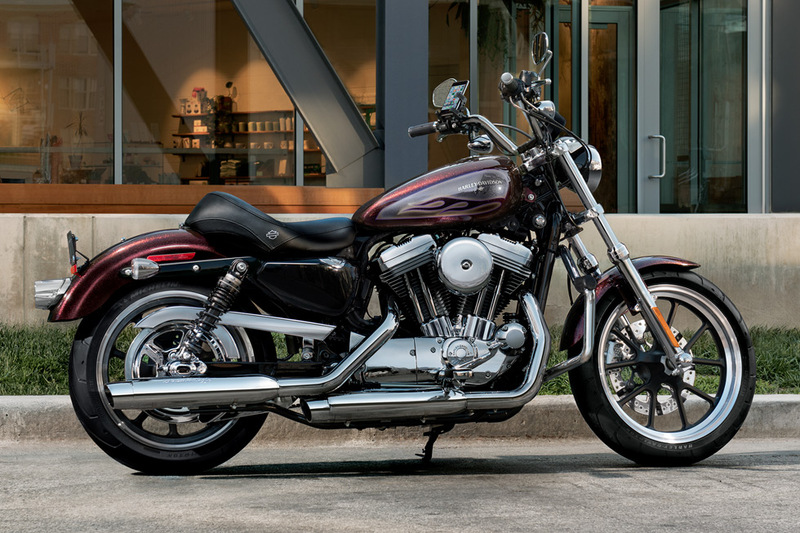 The authentic Harley-Davidson design of the SuperLow® is something that really sets it apart from the pack. This bike is sure to turn a lot of heads wherever you ride with its narrow, athletic frame and premium detailing. Unparalleled Style – The slender frame, abundant chrome, premium paint, steel parts, and one-piece crankcase/transmission combine to create a clean, compact impression befitting the racing legacy the SuperLow® inherits. 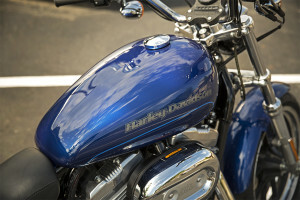 Teardrop Fuel Tank – The classic 4.5 gallon teardrop fuel tank bears uniquely bold badging, and its sleek, tapered design serves to highlight the pure styling of the big V-Twin. 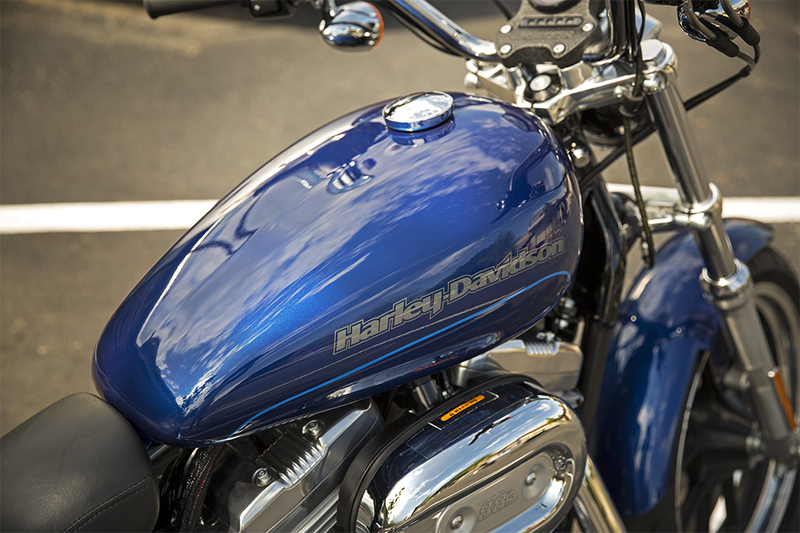 The SuperLow® provides an easy to handle ride, enhanced by some of the latest technologies. Cockpit Comfort – The low bucket seat, easy-reach handlebars, and longer travel suspension in the rear makes the cockpit of the SuperLow® exceptionally comfortable. Advanced Front End Geometry – New front end geometry features lightweight front forks, triple clamps, and an 18-inch front wheel to enhance handling capabilities. Final Drive Ratio – The final drive ratio is especially designed to deliver confident handling at low speeds, something that beginning riders will no doubt appreciate. 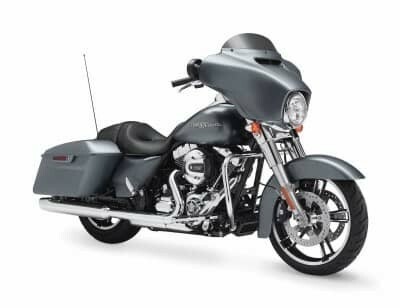 Enhanced Low Speed Maneuverability – The 18-inch front wheel and 17-inch rear wheel are lightweight black cast with 5 spokes wrapped in radial tires, making the SuperLow® exceptionally agile and easy to handle even at low speeds. Low Seat Height – The seat is set at 25.5-inches within the narrow frame, giving you the easy to handle ride that inspires confidence. Michelin® Scorcher™ Tires – These excellent tires provide outstanding grip and sure handling due to their special deep-cut tread design. 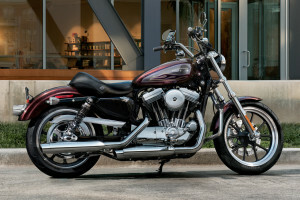 The superior design of the SuperLow® makes it a bike you can comfortably ride all day and never get tired out. 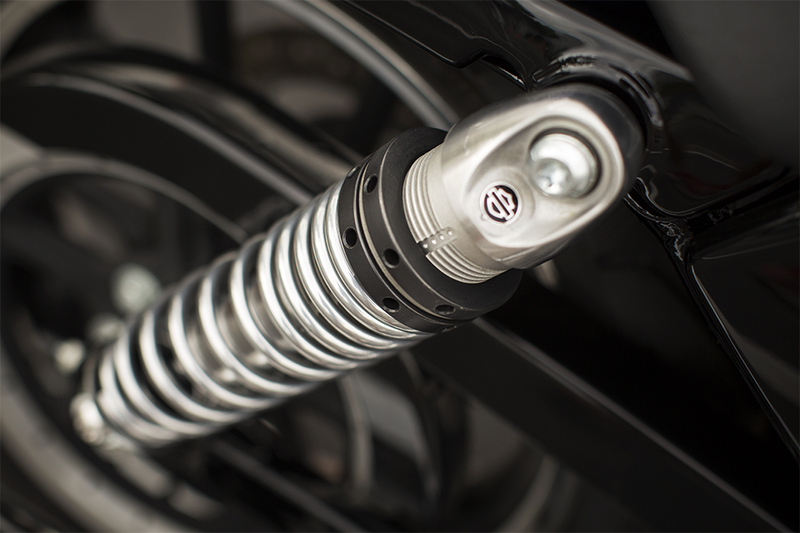 New Suspension – Front end cartridge damping with adjustable cartridge emulsion rear shocks give the new suspension system a smooth ride. 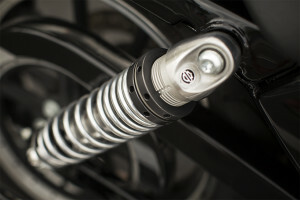 The screw adjuster makes it easy to dial in the precise suspension balance you want wherever you ride. 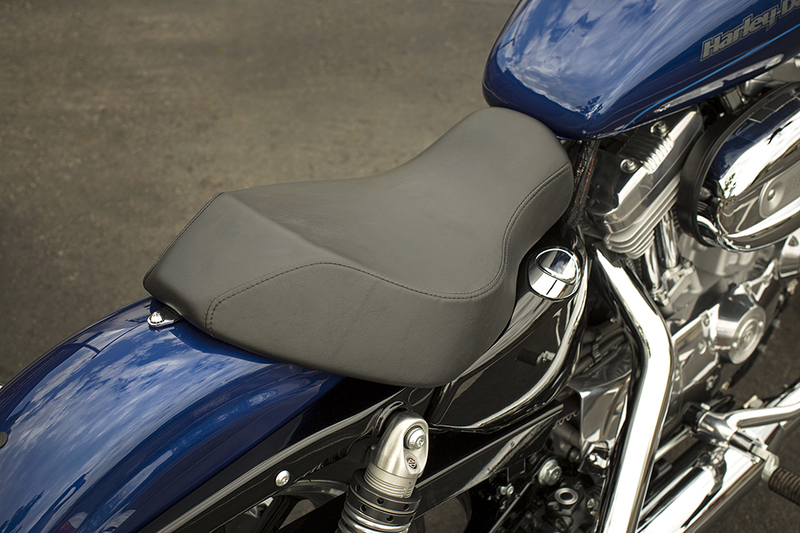 Low Seat Plus Extra Comfort – The low seat height and low center of gravity makes the SuperLow® a breeze to handle. The seat is crafted with extra foam to improve comfort while remaining sleek and in-style with the bike’s overall design. Mid-Mounted Controls – With mid-mounted controls you can settle into a cockpit in confidence-inspiring comfort, providing a relaxed ride for less experienced riders.